I am new to cleansing an have been dealing with major blockages in my life for over 8 years. Every reading I received shows there is a blockage. I would take salt baths an coffee, ammonia, salt baths but wasn't consistent. I do not feel the bath help me. I had a reading with a psychic from hoodoo psychics an was told someone did cross me an it is strong. She said I needed to uncross, do healing an money work. I order a uncrossing bath from lucky mojo. I never knew all this time I was badly crossed. I felt something was wrong because my health an overall well being is not how it should be. I have been depressed for several years because of not be able to excel in life. What products can I order to help with healing and money and how do I keep myself uncrossed after cleansing thank you for your help. I am very sorry to hear you have been going through such difficulties. I'm glad you have purchased Uncrossing products from Lucky Mojo. They can help you. I also strongly suggest you cleanse your home with Chinese Wash, to remove any spiritual messes that may be lingering there. 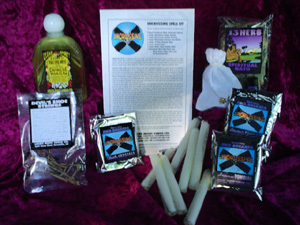 Afterward, use Protection products faithfully to keep those negative energies from coming back to you. For help with Healing and Money, please read through the following threads for advice. There are various threads for money-related matters, so you can scroll through and find the one(s) that best suit your personal goals. If you still have questions, ask them in those threads to stay on topic. How do I know if I as well as my family have always been cursed from a very long time ago or if it's just been within the last 10 years? We've always had a lot of bad things happen over and over very bad things you name it. If so how can I end it? Your reader can also advise on appropriate spellwork to address your unique situation. Also, please read through this thread on generational/family curses, which may further help you. I suspect that I may have been hexed or cursed for more than thirty years. I even suspect I know who did it: an older guy I dated briefly when I was 19, whom my parents intensely disliked. He did partake in occult and magical practices, and when my parents confronted him about dating me he spoke cursing them and me. Shortly afterward I wound up in the hospital with a mysterious illness. He visited once, and not long after I was released he stopped dating me. Within a year, my parents' luck went horribly sour on everything from career to money to health, and my luck turned awful as well. My parents' situation never did really improve for long, and they are both dead now. My situation has been to become like Sisyphus in Greek mythology. Every time I get my rock rolled just to the top of the hill it rolls back down and I have to begin over in some way. I can't ever just get all the pieces of a normal life together and keep them together. Every time things all seem to be looking up or going well, some portion of it falls apart and usually this takes the rest down with it. My relationships all end after either three and a half months or three and a half years, with the exception of one that lasted for ten years (twelve if you count the time it took to get all the way out) but was fraught with all kinds of trouble. I am now 53, and once again facing the dissolution of a relationship that is just about three and a half years old. I cannot keep doing this! It needs to stop here. I genuinely love this man, and all kinds of signs point to our being meant for each other... but again the same old pattern is happening. Any ideas? I'm short on cash, short on time, and really cannot stand this anymore. Help! I am sorry to hear you are going through such awful difficulties. My heart goes out to you. Have you read through the posts in this thread? There is advice here that could help you. I hope this helps. Please keep us posted and good luck! The answer is a profound: NO. Sure would be nice if we could solve all of our problems with honey jars! There would be no reason or need to do any other kind of magic. Hi, I am new here but in desperate need of help! Ever since he has not been able to, he doesn't even get to make estimates, nothing! and not only that but even my family is starting to have bad luck. I got into an accident, had surgery on my knee. We are all having difficulty with our jobs and health. We all feel weak and tired and weird nightmares. My mom spotted an oil stain at the first step on the entrance to our house. None of us have done that or had issues were we would spill oil. Not sure if that is something that matters. but what can we do to get rid of this curse that is affecting our entire family??? Welcome to the Lucky Mojo forum. I'm very sorry to hear that you're having to deal with all this. For the past 7 months the numbers 6,66,& 666 have been appearing in some form on a daily basis in my life. Now I am not the superstitious type,but this has never happened to me before and my life has been in a spin. I did try to do some homework before posting this question,but all I could find was a bunch of stuff on 666 and the devil... Can anyone help shed some if any clarity on this for me? I am not quite sure what kind of work I need to do for this. If this were me, I would get a reading on this. For me, personally, it doesn't mean the Devil. When it was written in the Bible, it was a direct insult to some evil ruler at the time. Many decades ago, when Pope John Paul came to my State, his plane number was 666. People were buying that lottery number like crazy. And guess what number came in the night of the Pope's arrival? 666 !! In the late 90s and into 2000 I was very, very young and got involved in a right wing organization and was the public figure of said group here in this city. My name and photo was in the paper and was even in a publication put out by the ADL, so it was well known I was involved in this. 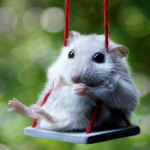 Please don't judge the me that's in the here and now based on that old behavior. I had a religious experience in 2000 and became a Christian and came out of all that, and I don't even think that way anymore. I am really sorrowful over what happened, but I can't change the past. At any rate, my life since then has went down the tubes. I lost my job, had to quit college, I have had a series of coming down with rare and serious medical problems one right after another, I became disabled, and on and on, one disaster after another. There is no way all that has happened to me should have happened to a forty-one year old man. It wasn't until I was reading the book on the Lucky Mojo site that it dawned on me that it likely is the case someone has cursed me. I do not have enough money for a reading and the spell kit. Is there any harm in doing the uncrossing spell if it turned out I wasn't crossed? Do I need to know the name of the person who did it, and I would hope not since that's impossible as It was likely someone who just saw the stories about me in the paper? When using the Chinese Wash what do I do with rooms that have flooring I can't mop? I have hardwood in the two front rooms and my bedroom. We don't use the upstairs, but it's carpet. Do I need to worry about the upstairs since I don't go up there? Welcome to the Lucky Mojo forum. I'm sorry you have been experiencing such difficulties. Here are my thoughts on your plan for spellwork: You're right, I don't think there is any "harm" in doing the Uncrossing spell kit on yourself without knowing anything about the situation, but I think you're working in the dark that way. If you can afford the Uncrossing spell kit, which is $60.65, why not spend $10 and get a 10-minute reading so you can know what's actually going on? You may need a different "treatment" to turn this around, and you can't know that without a reading. Just a thought. Hi, so much has happened that I will try and keep this short but a few years ago I got an youth award for creating my own business, this caused rage in some family members and my life suddenly became upside down, Bad health, pet after pet dying, people turning on me everywhere as though they were posessed, their eyes would change or flicker. Got arrested for something that I had nothing to do with and had happened in a town I had never been too, bad illnesses, money problems and being stuck unable to move forward, then family members started getting ill, my partner started hearing voices and got diagnosed schizophrenic within weeks, my cat who passed away shortly after this at 18 months old was chasing something every night screeching, I started hearing and seeing this thing insult me, come in my dreams, black shadow, I would have nightmares about a pets death and they would die, friends would have nightmares and bad fortune would befold them, then it started attacking me badly in sleep, I bought charms paid thousands to witches thinking it would help but it got worse, prayed, then a sourcerer tried removing it and it got worse for me and him. Also it appeared in one of my pictures recently, I had to take a lot of photos and teh one I took a screenshot of to take the picture even faster picked this entity up behind me. I need advise of how to return this evil demon sent to ruin me all because of their envy despite me trying to help them before all of this. Also, read through this thread for a lot of helpful information. As of recent I have been seeing one of my ex-friend in my dreams. I'm aware that she previously put black magic on me but I had it removed a few years ago. My intuition is strong and I'm almost positive she may still be at work. Since then I have been meditating and my awareness is at an all-time high. I lost my job at the beginning of the year- which was fine..I needed to leave. I have been having problems securing jobs that I know im qualified for. I also am set to graduate from college (after years of financial aid problems) next May...Since im unemployed, im unable to get a private loan which prevents me from finishing my final semester. Can someone suggest me how to go about dealing with this? Please read the 13 pages on this thread. About three years ago I was going through some negative energy that I had previously placed elsewhere that had found its way back to me. I was younger and had not known about root work in depth as I do now and had not properly cleansed and protected myself. Also I had done it in the form of a trick on the property of my neighbor at the time. It was some run devil run type products. Years later I purchased the same property and low and behold was cleaning up and picked up my own trick by mistake. After picking it up I felt that bad energy jump all over me. Shortly after, As I washed dishes one night with my son and my husband in the house and could feel something was not right. As I washed the dishes I said silently that I would not be afraid of anything in my house and silently began to pray that God protect me, my husband, and my son from any evil. I felt things really starting to feel weird and my husband became very angry at me which was not usual. The next morning he left and divorced me and I haven’t seen him since. We were married for 16 years. Now he’s been gone 2 and a half years. My sons attitude also changed dramatically towards me and my husband. I finally decided that I must do something, even love spells and honey jars haven’t helped. They all kinda bounced off him and went to another exlover. Now I’ve decided to uncross myself with a thirteen herb bath that I’ve already ordered. What should I do for my exhusaband and son? Should I do uncrossing vigils for them and what should my petition be since it’s my own mess? TIA for the help. Yu may want to look at the 13 pages on this thread for some wonderful advice. It sounds like something else is going on. Thank you so much for the advice. I have been reading a lot about uncrossing on this forum but I’m still a bit confused. My son is off at school and I will have to uncross him from a distance. How should I word the petition to remove whatever is there? And will any energy flip back to me if it was my fault? I read in one part of the forum under a uncrossing section that if you want to send energy back you place the enemies name or the words my enemy and write a petition on the back. I do not wish to send any energy anywhere, just undo it all. So how do I uncross him without that happening? First of all, your petitions ought not be that rigid. Put protection on yourself (although it won't "bounce back" to you. But, protection will make you feel better). Then, your petition would be: "Remove negativity"
Now, when you pray, you tell whomever you pray to that he may have accidentally crossed over a rick that you laid for someone else. Yes, that cleared it up for me. Thanks so, so much. im currently uncrossing but im using uncrossing spray that was charged to work instantly from a very powerful psychic and i have tried an other spray that was charged to work instantly, it was called charmed it was for fast luck, and prosperity. i don't know why its taking so long for the uncrossing spray to work. i got cursed and a whole bunch of bad coincidences are happening to me and some are saying who it was that cursed me it was an Italian lady and before i was born my mom had an Italian horn necklace which is scary, do you think this curse can be because of the necklace? i sold it but the curse isn't gone. I've even been told by multiple psychic that theirs a dead or bad spirit attached too me from a mini reading, but it feels so powerful it feels like so many spirits are attached to me. Im using gunpowder (sulphar and saltpeter) in a bottle and putting it on an alter and praying but i haven't seen any effects do you think i should put it an an cauldron and burn it will the effects be faster and stronger. i have had nothing but bad luck hit me since my 29th birthday. my finances have took a hit , my marriage is falling apart, a piece of my thumb was burned off in a work accident, and in the last week my truck broke down and my cellphone stopped working. i know a palero who says he is a friend but i get a feeling that he has something to do with the negative vibes that seem to be surrounding me. also i am going through my Saturn return. i guess i just really want to know what is causing all of this calamity in my life. what is going on with my life? I am sorry to hear of your run of bad luck and trouble. Palo is a religion, and as such it is not a form of cursing. Are you saying that because your friend belongs to this religion, he is surrounding you with "negative vibes"? What about your Catholic friends? What about your Methodist friends? What about your atheistic friends? The Saturn return should be ending soonish -- it generally closes out in the 29th yeaar. I cannot tell what is going on in your life without doing a reading. This is a spell-teaching and product-help forum, but, lucky for you, we DO provide FREE readings once a week via out radio show! If I could add to the subject line here, it would be "the drop of blood that refused to cooperate." This is a follow-up to rootwork recommended to me by Conjureman Ali to remediate a crossed condition. I was on the radio show and had a reading earlier this month. I'm so grateful for it! So, last night, I did the first part of the rootwork recommendation (Uncrossing incense, lemon leaves, lemongrass, drop of my blood from my finger). I tried 3 different sewing needles of various sizes to poke my index finger and no matter how hard I pushed, I couldn't pierce the skin. So I had to drop everything mid-working and go find a thin pin with a sharp point. It worked like a charm, and got a nice bead of blood on my fingertip. Would you believe that that drop of blood was quite large but REFUSED to move from my finger? As soon as I tipped my finger to drop it onto the charcoal/incense mix, it dried up on the spot. I tried a few more times, and my incense stopped smoking while I was trying. I piled more incense on and got it nice and smoky, pierced my finger, and tried again. I didn't want to give up, but by this point I was giggling a little at the ridiculous tenacity of my blood in refusing to cooperate with me. I ended up scraping some of the blood onto the point of the pin and touching it to the incense/charcoal. Unfortunately, I put so much incense on the charcoal that my eyes were watering and I was coughing as I was reciting the line from scripture. Although it's hard to convey via writing this message, the feeling that I got initially started with frustration, it transitioned to humor. Like, I imagined my late father watching me do this and him chuckling. It just goes to show that sometimes no matter how well planned out and prepared we think we might be, sometimes things don't line up the way we expect. I just went with the flow, learning from the experience and trying to keep my sense of humor in the process. Thanks for sharing. You gave me a chuckle too. I have a few funny stories i could tell on myself as well, about "When spells go wrong." And the funny thing is, in my life, the ones that run off the rails are generally uncrossing or cut and clear or protection spells done for clients. It's so funny you posted this because I was thinking about doing the same working in the next couple days, myself. I heard Conjureman Ali's advice to you on the Rootwork Hour and thought that I could give it a try since I've had a lot of Evil Eye issues and traumas and such my whole life so I could probably get some use out of a strong and thorough uncrossing like this. I, like you, don't really know for sure who might have caused these problems for me but I know that my family has received and thrown all sorts of "muck" for many generations and I also know that I've had a lot of negative energy directed at me my whole life. The biggest culprit here though, is myself lol. So the advice given to you seemed to also fit my situation really well. I have a really messed up astrological chart too so the source of my issues isn't always a person, but I'll still cross myself up trying to push through all of that mess as well. As far as you having such frustrations with performing this spell, I agree with Miss cat that it's always blockbuster, uncrossing, or run devil run that seem like I'm fighting Goliath just to light the damn candle sometimes. But I'm kind of a weirdo and when I'm doing something of this nature, I'm the most determined and focused compared to any other spell because I'm usually mad as hell that something tried to stand in my way. So the more it fights me, the more determined I get.. Even to the point of laughing maniacally lol. I once did a blockbuster type spell where my goal was to burn away every single thing except for the candle holder. I was using a candle holder that was a skull figurine (it was actually a skull shot glass). Well, the wick burned away leaving the candle melted with wax in every little crevice in that skull. It had cooled with no way of being relit. So it was probably the worst mistake the "devils" could have made because I'm always itching for a chance to prove how determined I am. I sat there with a knife for over 3 hours, scraping every bit of wax out of that skull. Then I put every bit into a cauldron, threw florida water on it and lit it up. I kept doing that over and over for another few hours or so until every bit was gone. I was expecting about 2 hours of candle burning that night but it turned into 7 hours of actual physical work to finish that spell. The spell worked, though. But I'll be honest, it wasn't a super powerful or crazy result. It was just exactly what I asked for. I just didn't realize how big of an obstacle I was really up against. So I'm the type that if I'm being opposed or if there are major issues to a spell's success, I call up all my resources and energy, I clear my calendar, and I push through until it's done. I love your story about carving the wax out of the skull! That sounds just like something I would do: the more of a fight it gives me, the more determined I am. I giggled at your "maniacal laughter," since I was almost to that point last night. I'm glad the only ones watching were God, my ancestors and spirit guides. I'm sure they've seen it all, so me jabbing my finger over and over with a needle while my incense goes out and then bursts into a mad cloud of smoke was probably just another Sunday night to them. To Miss Cat's point: I think it would be wonderful to hear some funny spell derailment stories. It makes people like me, who are in the infancy of their journey, realize that everything doesn't have to run smoothly to be effective. I do wonder, though, whether it's sheer coincidence that these spells (protection/uncrossing/etc.) are particularly prone to not go to plan, or if it might be an indication that there are forces at work trying to prevent the uncrossing or protection. I'd love to hear if this seems to be a pretty common thing that others experience with protection and uncrossing work, and it isn't just us! Hello I was in Chicago and had my cards done, the reader said that someone wishes me harm very badly someone close, she said she needed to burn a candle for me. The crazy thing is I've heard this once before is it a candle I can burn myself and is it anyway I can find out who wishes harm upon me? The reader may be right, but you also may have fallen into the clutches of someine who runs the so-called candle-scam, in which the readers says that you are being cursed and he or she "needs to burn candles" to take off the curse. First, understand that the reader you saw may be legit -- but the way you phrased it raised a red flag for me -- and "needs to burn candles" is that red flag. So read this web page, and if it fits, just be glad you walked away before you got rooked out of several hundred dollars. Cat had told you correct, you were being scammed. My Friend was in France for vacation, he is french native and speaks the language ( info added to understand they scam anyone), a reader told him he had a dark cloud over him and was cursed and she needed to light a $150 US dollar candle for him or else. When he came home I assured him we didnt need that candle but we could clease her energy off of him for about 5 bucks. Dont fall for a scam. I've never posted and need some advice. I've been cursed for sure by a jealous family member of my husband. I have never done ANYTHING to his woman. 2 separate great readers have been warning me about her for over 2 years. I've always been very strong and protected but her envy and evil work has grown more and more.My menstrual has stopped etc. I was told that she wants to "destroy me" and has a "buried doll" of me. Outside of that, I can say that I am still receiving grace, mercy and protection from my angels but how can I help stop her and reverse it all back to her? You would want to spiritually cleanse yourself, your home, and wear protection products. Then you can do a reversing candle to send it back to her. Another option that is very popular is putting her in a mirror box so all the evil she does reflects back to her. This is my first post here. I love the Lucky Mojo Radio hour! Lately, I have found a couple of small piles of some kind of fragrant, mossy bark around my house. One was left in front on the garden wall next to the sidewalk. Then today, after returning from vacation, I found another couple of little piles on the porch at the back entrance, which happens to be the entrance to my business where I see clients. The wet, green growth on it stained the porch. Has anyone heard of this? Do you know what the bark might be? I realize now I should have saved or photographed it. I just kicked it away. I can't see anything growing like it in the immediate vicinity. I guess the comparison to some kind of jinx is obvious, but I've never heard of this exactly. We do have one neighbor who is quite odd and unfriendly. That doesn't sound like a jinx to me, or even an "offering. It may be something dropped from a bird or squirrel nest. I suggest placing a bit of grain or birdseed and a bit of cat food where the piles were and see what develops next. I've been experiencing problems with water lately! Pipes breaking, floodings, constanttly! I'm wondering if this is something i'm doing, or is a jinx, or something else? Every time I do any sort of work/working, or even deal with anything about luck, occult, magic, etc, pipes burst or something bad with water happens! Does anyone have any similar problems, or advice as to what may be causing it? And how to fix it!?? A divination is always the first step in resolving issues. Feel free to contact a member of AIRR ( The Association of Independent Readers and Root-workers). You will be able to book a reading and receive services if needed to assist you with your situation. Food for thought: Sometimes specific Deities manifest them selves in different ways to get an individuals attention. 1.Has anyone successfully removed the condition of being jinxed? Or crossed? Or cursed? 2. Also does anyone “feel” an invisible force orspirit being the cause of this? Because I do. I amlooking at getting a reading and an uncrossing done, and if this doesn’t work, I give up. Yes many of us have removed curses, read through the 13 pages of post, recommendations and testimonies. Seem more your answer is saying, " is magic real", "do spells work", part of your answer seems to doubt it when you ask for help but say if it does not work you will give up. Honestly with that mindset going into the work I would not bother, you do not have the mindset for success. You need to come to work as Jesus instructs us, with faith, trust, ask and believe it to be so. People may experiences curses or jinxes differently, some individuals will see spirits, others feel them, other dream of them. A reading and working with a rootworker is strongly advised, please see the AIRR page for a reader and worker. Generally speaking you should cleanse your house top to bottom back to front. Use a product like chinese floor wash or ammonia. JayDee, thanks. Trust me I believe and have faith. Just didn’t see anyone say they got rid of it skimming through the thread. Thanks for the help. I really appreciate it. And I felt like giving up because I’ve suffered so much. I wouldn’t take my life but it’s not a life worth living right now and for the past 3 years almost. Do you recommend anyone to have a reading? I don’t have money for consulting a spiritualist or to get work done. To say a little of my background. I live with my mother and her husband. My mother has been losing her luck. She has had work done before and readers have told her it is a man but not exactly who it is. The only man that is ever around my mother is her husband ever! Lately my mother's husband has been trying to steal her luck regarding money in her dreams etc and possibly other methods. She doesn’t suspect him at all but I know without a doubt it is him. But anytime I hint to her it might be him she shuts it down immediately. Other than that I have dreamed about him as well being sneaky etc. I should also mention that a red line appeared on the first step of our house and we have no clue where it came from. The day it appeared my mother and I was out so I rewind the tape on the security camera and I saw her husband sitting down on the step talking to a friend which I’ve never seen him done before because he never goes outside. He hates being outside long. When I told my mother I only saw him there . She quickly shut it down n say no. Does anyone have a clue what spell might have been done? Thanks for the response but sadly I don’t have any form of money. Lucky mojo does a weekly radio show. People sign up on the forum and call in at the designated time. They give a few live on the area readings with rootwork suggestions to the person. It is conducted by Miss Cat, Conjurman Ali and a guest. Here is a link to the show. The Lucky Mojo Curio Company sponsors a free readings-and-rootwork show called The Lucky Mojo Hoodoo Rootwork Hour (which is actually 90 minutes long!) where our good friends and colleagues who are members of Hoodoo Psychics (HP) and/or the Association of Independent Readers and Rootworkers (AIRR) have been offering FREE READINGS every Sunday since 2004, which is a run of about 14 years, as of this writing. With three readers and rootworkers on the air for most of our shows, we generally do TWO readings and give two rootwork consultations per show, and although we have rebroadcast shows on major holidays, this comes to about 100 FREE READINGS AND CONSULTATIONS PER YEAR. Thank you so much . I will definitely take advantage of this.